The Faculty of Mathematics and Natural Sciences arranged a conference for the Strategic Research Initiatives 09.02 – 10.02 at Sundvolden. The conference consisted of lectures from the leaders of each of the SRIs, a poster session and social activities. 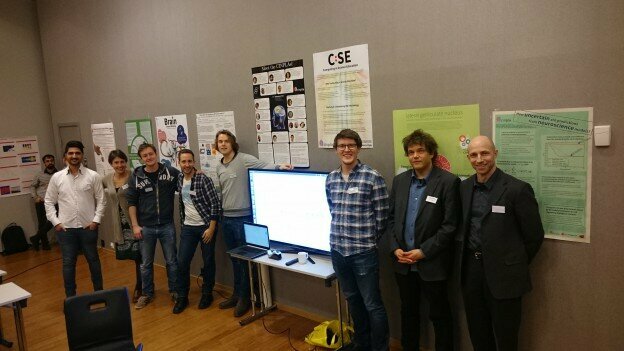 CINPLA made a strong showing, with 7 posters as well as an interactive session featuring an Integrate-and-fire app. Milad and Svenn-Arne even won awards for their posters! This entry was posted in conferences, Featured on 02/10/2015 by Andreas Solbrå.